Eating healthy during the holiday season doesn't have to be a chore. Cutting down on or swapping out unhealthy ingredients (like saturated fats) typically used in our favorite recipes can result in dishes that are just as tasty, but without the guilt. Latkes - those delicious can't-stop-at-one potato pancakes - are a traditional food eaten during Hanukkah, but because they're fried in oil they can pack in those unwanted calories. 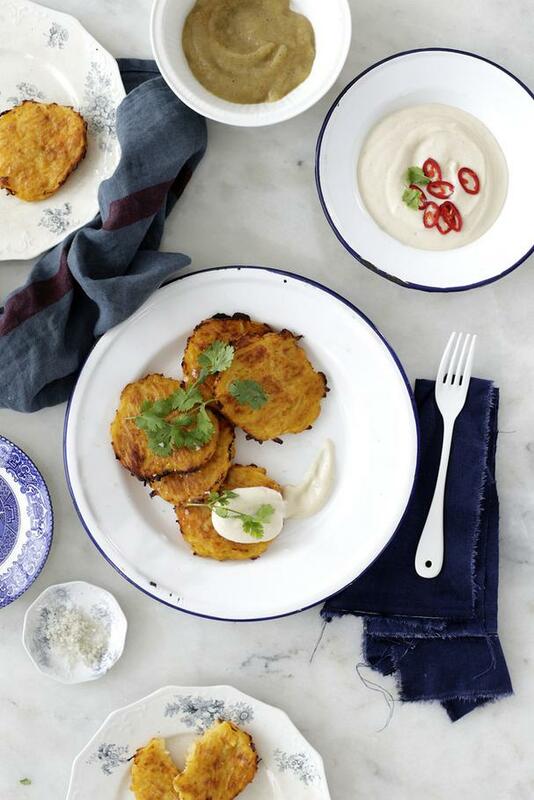 This scrumptious latkes recipe from Kenden Alfond, author of the Jewish Food Hero cookbook and blog with the same name, incorporates good-for-you yam puree and non-dairy milk into the batter, and uses less oil for the frying. She tops the tasty cakes with a sweet and spicy duo of Chili Cream and Cinnamon Applesauce. Your guests won't even know they're eating vegan latkes they're so good! Also check out her Sweet and Savory Mini Latkes recipe here. Repeat with the remaining latke mixture until you use all of it . Top with a sprinkling of paprika and chopped peppers. Kenden Alfond is the founder of Jewish Food Hero which nourishes the minds, bodies, and spirits of Jewish women around the globe. She offers vegan recipes that are a modern twist on traditional Jewish meals and resources to support an intuitive turning toward greater health. 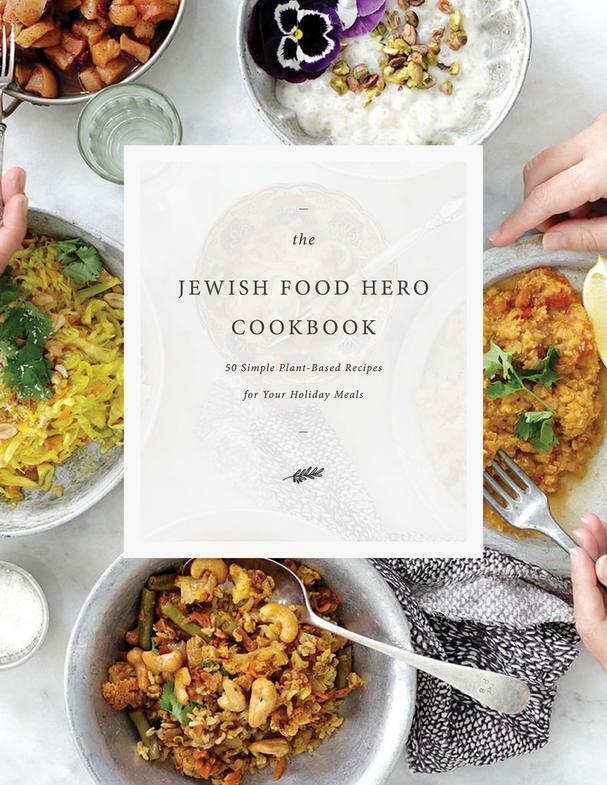 You can find The Jewish Food Hero Cookbook: 50 Simple Plant­Based Recipes for Your Holiday Meals at jewishfoodhero.com.